The Centennials celebrates 8 companies in Singapore that have made their mark not only in their respective industries, but have also become a cornerstone in history and an icon in the region. 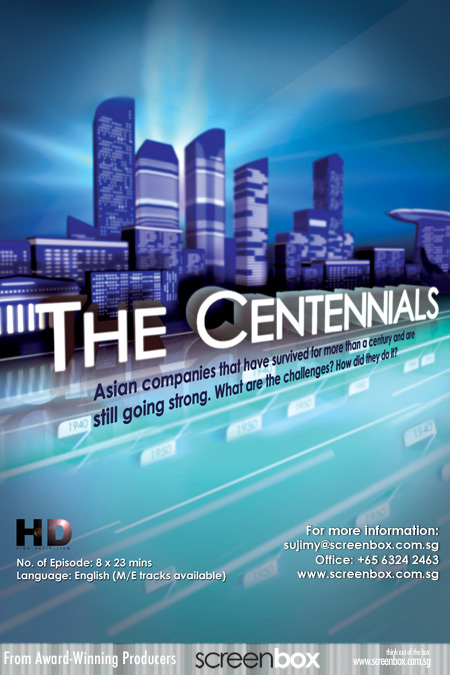 The Centennials profiles different 100-year-old companies in Singapore to find out how they managed to survive for so long despite the changing times and economical climates, and provides tips and advice on how to ensure your business is here to stay for the long haul. From Singapore born and bred businesses to overseas companies with a franchise and foothold over a century, we uncover their history, their challenges, and most importantly, their legacy.